Our courses are tailored to help you to get more from your boating and provided by some of the best white water coaches in world. If there’s no “off-the-peg” courses that suit you, don’t forget we do bespoke private coaching too. 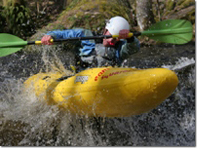 This course is aimed at intermediate paddlers who wish to take their paddling to the next level. We will focus on ensuring the fundamental building blocks of your paddling are solid before starting to build upon it to provide you with new tools and tactics on the river. By the end of the course you’ll feel more controlled, consistent and confident on grade 2-3+ white water. 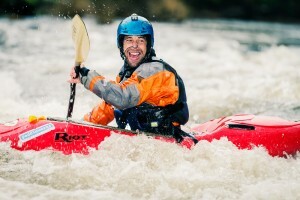 The mental side of white water kayaking is the most challenging part of the sport for most people. Losing your confidence can happen to anyone, of any standard. Let us help you past that mental block towards happy, relaxed and enjoyable paddling at whatever level you’re at. We use a range of methods including visualisation, mental rehearsal and focusing as well as our usual top notch technical analysis of what you’re physically doing on the water to help you see an all round improvement. Low ratios and highly experienced coaches ensure that you will have a very productive weekend, tailored to your needs. You’d be amazed how transferable a lot of these mental techniques are to other areas of your life too. Perhaps this course will give you more than a boost for your paddling? Get even more fun out of your days on the river! This course will show you how to utilise the river’s features so that before you know it you are styling the river; pulling off satisfying boofs, flashy flares and rockin’ rockspins. 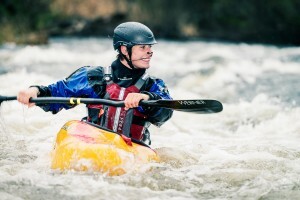 On top of all that, we’ll look at using the river’s waves to our advantage – whether for efficient running of rapids or showing off your latest tricks. 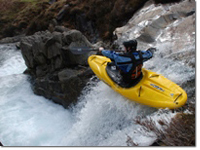 By the end of this course you will be seeking out fun moves on every river you do! Pre-reqs: Confident on grade 3 white water. Good moving water roll. Pre-reqs: Experience of grade 4 white water. Solid moving water roll.